This AGREEMENT, made and entered into this date: April 26, 2019 by and between MOUSEL'S SELF-DEFENSE ACADEMY (School), and (Student, You, Your, He, or She). 1. By signing this AGREEMENT in the space provided below, you fully acknowledge that you have read and do understand each and every paragraph contained herein. Your acceptance to the School is contingent upon your understanding and acknowledgment of this statement. Do not sign this AGREEMENT if you do not understand any portion of it or if you are in disagreement with any statement contained herein. 2. Student here acknowledges that he or she is aware of the fact that the martial arts and selfdefense involve a greater potential for accident and injury than many other sports. Injuries (bruises, sprains, etc.) are a very likely occurrence and there is a possibility of serious injury such as broken bones, brain damage and death. Student here specifically states that he or she assumes the risk and danger of accident and injury which may result from taking part in any exercises, practices or demonstrations of said martial arts and hereby releases School, its agents and instructors, including, Tim Mousel, fellow students, from any and all liability or responsibility for and injury or damage incurred by the Student during the period the Student is taking instructions from the School. Student further agrees that School, its agents and instructors shall not be liable for any items of personal property lost, damaged, stolen or destroyed while on School's premises, or while taking part in School related martial arts activities off the premises. 3. Student promises and covenants not to institute any legal action or to permit same to be brought on his or her behalf, either directly or indirectly, on account of the occurrence of any claimed personal injuries or damages, or on account of loss of property, to Student, and agrees to save, indemnity and hold harmless and defend at his or her sole expense, School and any instructors therein, including Tim Mousel from any demands or causes of action which may now or in the future be asserted against the aforesaid parties arising out of any events occurring during the course of instruction or demonstration. Student recognizes that his or her assumption or risk and covenant not to sue are fully applicable in respect to any and all of Student's full or part-time instructors, as well as School itself. 4. Student acknowledges that he or she is over eighteen (18) years of age, of sound mind, and are authorized and capable of making this AGREEMENT having first read it carefully. The Student hereto acknowledges that this written AGREEMENT is the entire agreement of the parties relative to the School. Any agreement that in any way varies the terms of this AGREEMENT shall be unenforceable and completely void unless such agreement is in writing and signed by both parties. Student acknowledges receipt of a fully executed copy of this AGREEMENT and acknowledges reading this AGREEMENT carefully before signing. 1. What are the main reasons you want to take martial arts lessons? 5. Please list any martial arts experience, if any. 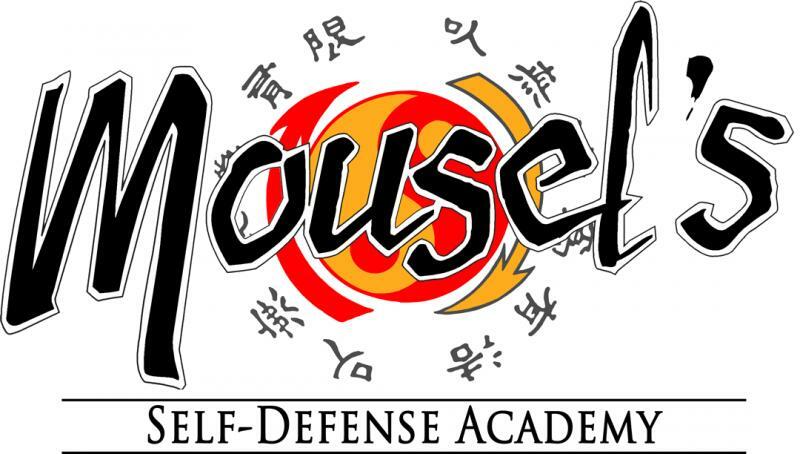 Mousel's Self-Defense Academy reserves all rights to dismiss any students, at any time, for misconduct or actions which may convey a bad image.